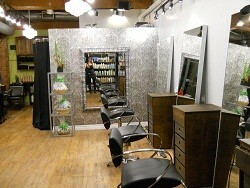 Citrus Hair Salon is located in downtown Vancouver, in the bustling neighborhood of Yaletown. We boast one of the best hair extension technicians in Canada and the top stylists, offering expert hair colour and cutting services. We carry Aveda and Pureology hair care products, as well as chemically reduced and chemical free hair colour options. Citrus is around the corner from the Canada Line, making it easily accessible.